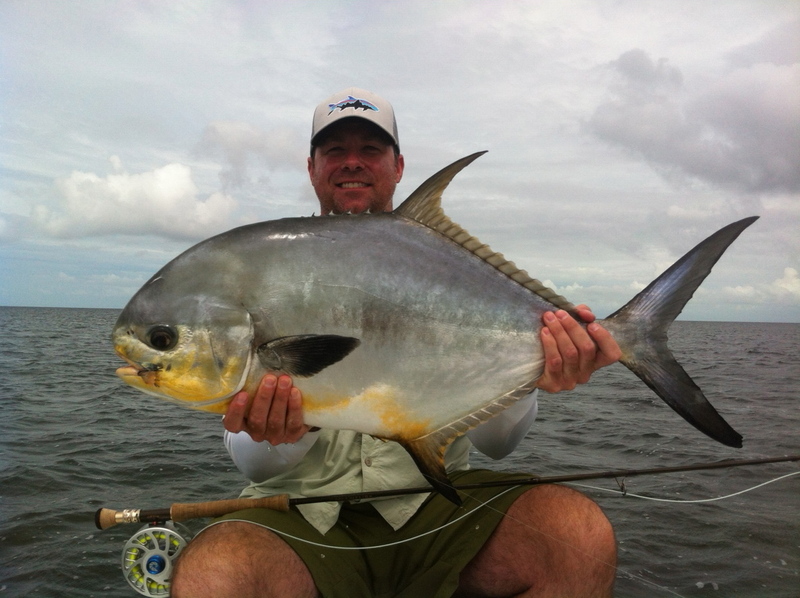 Ever dream about fishing the famous Florida Keys? After years of spending time fishing from Key Largo to Key West, we found one of the best guides there is. Captain Steve, out of Islamorada, is a pure fish-finding machine, specializing in skinny water targets for light tackle and fly-fisherman. Docking at World Wide Sportsman at mile marker 81, Captain Steve is just a short boat ride to some of the best flats in the keys. He knows the waters very well and takes clients where the fish are, no matter if they are in the ocean flats at John Pennicamp State Park, or to Flamingo in the Everglades and everywhere in between. Captain Steve is one of the most patient guides I have had the pleasure of fishing with, and is always calm and relaxed; he is always willing to lend a helping comment to help get more fish to the boat. Captain Steve specializes in the flats species off his 18-foot Maverick Mirage, which holds up to three anglers at a time. He loves fishing for Bonefish, Permit, Tarpon, Snook, and Redfish, but enjoys fishing for Barracuda, Sharks and other flats species with his clients. It is always possible to capture the Grand Slam of the flats when everything comes together, and there is no one better to attempt this with a veteran Captain like Steve. Whether it is your first time to the Keys or you are a seasoned veteran, Captain Steve is the go-to man, willing to fish as hard as you desire. JWD can assist in lodging arrangements for this adventure, with the famous Cheeca Lodge a short walk from the dock and the Islander Hotel a short drive away.